This is the fourth in our series on the 7 Steps to health and wealth. I was discussing health with my osteopath the other day and he posed a great definition for good health. That good health is the absence of worry about your body. I reflected on this, and have come to think that’s one of the best definitions I’ve heard. That good health and a healthy financial position are in fact the absence of worrying about either your health or money. You don’t obsess about what you ate, or would be eating or should be eating. And you don’t beat yourself up about missing an exercise session. Healthy money means you don’t worry about paying the bills, or living paycheck to paycheck. For those in debt, or who are overweight, peace of mind on these two topics is very rare. The dream of being able to get to a place where money is not a constant worry. Where every month is not a stress. And this constant stress is tiring. In some cases, it leads to low self image, loss of confidence and depression. In the extreme, people have been known to commit suicide. All you want to do is shut up the conversation in your head. It’s exhausting just listening to yourself. Why do we ‘let ourselves get there’? There are many reasons why people are overweight, and why they get in debt. I’ve learnt that it’s way too simplistic to say that ‘they eat too much’ or ‘they spend too much’. In some cases, there are very valid reasons. For health, it may be that your thyroid isn’t functioning correctly. Or the pancreas. Or you’re insulin resistant. When it comes to debt, many people need to pay back student debt, or are investing in building their own business, or are disabled or ill and can’t earn enough to pay back the additional expenses their health caused. For some, their companies closed down and a period of unemployment has meant they’ve needed to borrow money just to survive. It breaks my heart these circumstances. And one of my absolute pet hates is when people stand in judgement on either weight or debt before understanding the person’s circumstances. Especially when it’s not your personal struggle. Because we all struggle at something. Your weight may be sorted, but your money isn’t, or vice versa. Some may smoke, some may buy shoes. We all have our thing. The challenge is that whilst weight affects you more personally, money impacts your family more. But for many, it is ‘just’ a lack of self-control. Not having the habits in place to wake up early and exercise or spend an hour working on your second stream of income. Or having a mindset in place that thinks that there’s always tomorrow – and 10 years later you’re no better off. For some, they haven’t yet created that compelling enough reason to change their behaviour. As I said in the first step to health and wealth, it’s not usually a single decision that makes you overweight, or a single decision that makes you stare at retirement short of money… it’s the culmination of many little decisions along the way. Follow step 1 and create a strong, compelling enough vision that leverages the three thinking patterns of the brain: image, emotion and words. Do the daily affirmations we discussed to cement that vision as part of your neural pathways. Then take on step 2 and work on your mindset to ensure that your reactions in that millisecond when the alarm goes off, or when you’re needed to decline the cake, or not buy the shoes is aligned with the vision you’re affirming. 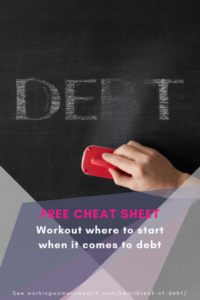 Following on from your mindset, work out what the ONE THING you could do to either reduce your expenses or increase your income is using our 3 page download for the exercise. And don’t forget to break that down into micro-steps and only worry about the next one. Know everything about your debt. Then begin to pay down your most expensive debt first. For our worksheet on this, click here. Speak to a debt counselor to work out how best to restructure your debt, or organise payment plans with companies. These can often lead to the interest payments being frozen so that you don’t keep increasing your debt. 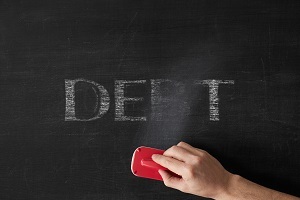 We have other articles on debt in our blog section on Everyday Money – Debt. In this day and age, it’s dangerous to have just one source of income. Long gone are the days a company is loyal to you, and a job is for life. Companies get into financial trouble, and they are no longer able to pay employees, and they make you redundant. So, you need to have a second source of income as an ‘insurance policy’. In addition, it’s never been easier to make an extra income. 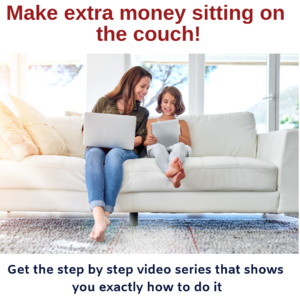 Our recent article “6 ways to make money sitting on the couch‘ showed how you could make $900 per month by just spending one hour a day. It comes back to mindset and habits. Is watching that hour of TV worth more than your health or wealth? I don’t have it sorted. I still have a few more kilo’s to lose. But I do know that the answer lies in my hands.